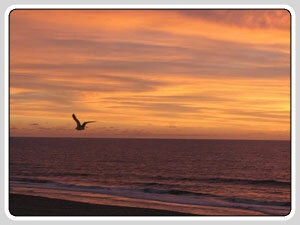 Ocean City is a great vacation spot and such a beautiful resort town. There is no lack of action but for this trip we chose to just relax and enjoy ourselves. We stayed at the Hotel Monte Carlo for the second time in two years. We once again chose a room with a city-view, a balcony, and an in-room extra large Jacuzzi tub. 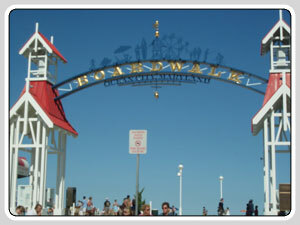 We like this hotel because it is right on the boardwalk and surrounded by great restaurants and activities. We enjoyed sitting on our balcony each night, enjoying the breeze that sweeps between the bay to our right and the Atlantic Ocean to our left. We listened to a calypso band playing at a tiki bar 2 hotels down from where we were staying. An exciting thunder and lightening storm blew through one evening and we had our own private light show, courtesy of the sky. 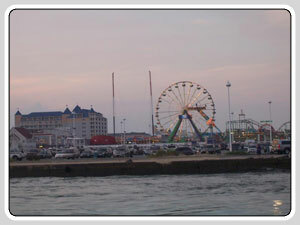 The restaurants in Ocean City are endless. I have traveled there no less than 15 times over the years and have yet to try every restaurant down there. We decided that we would choose a new location for our dinner each night and had fun choosing which cuisine we wanted and where we would go. We had a wonderful meal at “Crab Alley” which was on the western side of Ocean City, a hidden little gem with amazing seafood. An appetizer of steamers along with the best mussels I have ever had started the meal, followed by a generous portion of Alaskan King Crab legs. I would definitely recommend this restaurant – it was cozy and wonderful. We had such a good time we decided to stay an extra night, and the Monte Carlo was more than happy to oblige. We decided to eat at a Mexican restaurant that evening, “Tequila Mockingbird.” This restaurant was the only one we had to wait a half hour for so we thought we picked the right place. Delicious salsa and guacamole, however I was not completely thrilled with my dinner. I love fajitas so I ordered the chicken/steak combo. It cost extra for rice and refried beans ($3.99!!!). The rice was green and had absolutely no flavor. The beans were in a plastic cup and tasted like they were made with dishwater. The steak was a bit chewy, but the fajita’s were edible. I do not see us going back to this restaurant in the future. As for our stay at the Hotel Monte Carlo, it was very good. The hotel is very clean, the staff is extremely friendly and helpful, and we felt the quality of our room was top-notch. We returned to this particular hotel because we enjoyed ourselves so much the year before and also because the Monte Carlo has a nice repeat visit incentive that we took advantage of! We did have a couple of minor complaints though. The outside hot-tub was out of service the entire 5 days we were there but I do not hold the hotel responsible for this, it was more of an ‘inspection’ issue. The one elevator that services the 6-floor complex was slower than molasses so this was a huge problem, especially at check-out time. We needed a luggage cart but once we tried to leave, the famously slow elevator was ‘out of order’ so we had to carry everything down 5 flights of stairs. I was not a happy camper! My only other complaint about this venue is the parking. There are only about 10 spaces by the hotel itself. If you are not lucky enough to get one, you either have to park in a small lot across the street or one that is almost 2 blocks away! We had beautiful weather, enjoyed great food, and felt relaxed. We reached our goal and it was a wonderful way to enjoy our summer vacation. I feel that this vacation held true to my motto of enjoying luxurious yet affordable vacation destinations. I invite you to stop by and read my tips and advice in my blog section on how you can get the most for your money wherever you go!